SPECIAL PROSECUTOR TO INVESTIGATE NIXON-KISSINGER VIETNAM TREASON. THE TRIAL OF HENRY KISSINGER. Better Late Than Never. Dr. Henry A. Kissinger usurped the powers granted to the US Secretary of State while he worked as National Security Adviser during 1970-73. He is the architect of Doomed American Fantasy that formulated US – China relations while Americans were bleeding and dying in Vietnam to contain the spread of Communism in Southeast Asia. USA needs to find Special Prosecutor to investigate Nixon-Kissinger Vietnam Treason. I am waiting for “The Trial of Henry Kissinger”. In a surprise meeting, Trump sat down with the former secretary of State and official in the Nixon and Ford White Houses. SPECIAL PROSECUTOR TO INVESTIGATE NIXON-KISSINGER VIETNAM TREASON. 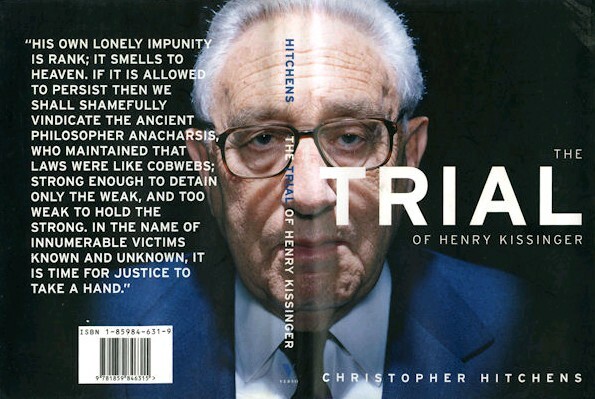 THE TRIAL OF HENRY KISSINGER FOR WAR CRIMES. WASHINGTON, DC — President Trump invited the press into the Oval Office Wednesday for photos and brief questions with a guest that shocked many of the reporters in attendance: Henry Kissinger, the controversial former secretary of State and official in the Nixon and Ford White Houses. Trump called the meeting “an honor.” Earlier in the morning, Trump met with Russian Foreign Minister Sergey Lavrov and Russian Ambassador Sergey Kislyak — a choice many found shocking in light of Tuesday night’s firing of FBI Director James Comey, whose bureau is investigating ties between the president’s campaign and Russia. “With all the comparisons the Nixon era, Trump brings the press into the Oval to see him sitting w/ a key member of the Nixon administration,” tweeted Bloomberg and pool reporter Jennifer Epstein who attended the meeting. The meeting with Kissinger, 93, was not on the president’s public schedule, and reporters thought they would be entering the meeting with Lavrov when Trump invited them in the office. Kissinger is a deeply embattled figure. 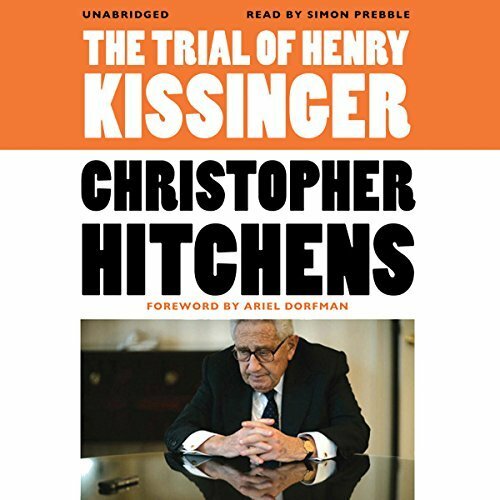 Many advocates and journalists have characterized him as a war criminal; the late Christopher Hitchens wrote a scathing book, which was turned into a documentary film, called “The Trial of Henry Kissinger” condemning the former secretary of State for his actions. In a contentious decision, the Nobel Prize committee awarded Kissinger the Peace Prize for negotiating a (ultimately unsuccessful) ceasefire in Vietnam. According to a Politico profile published in December 2016, Kissinger has had a long-running relationship with Russian President Vladimir Putin. The former secretary of State has been working to get closer to Trump, Politico reports, in an attempt to potentially broker a deal with Russia. 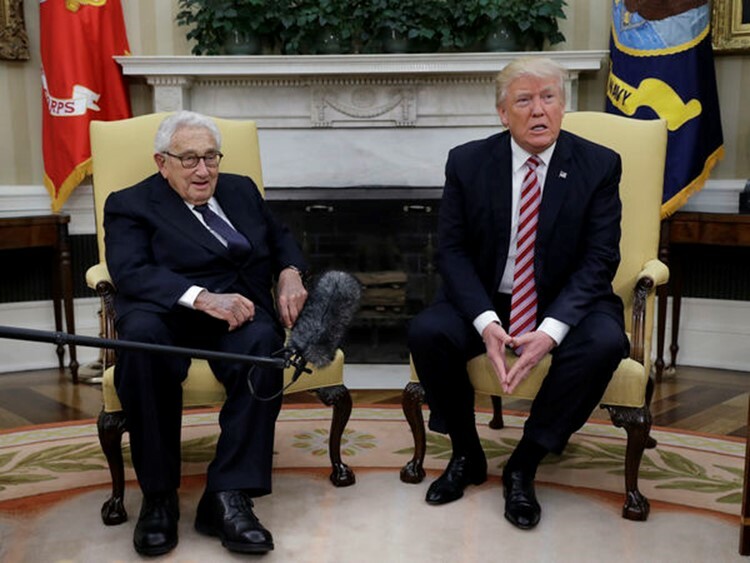 Trump said that he’s been friends with Kissinger for a long time. Hillary Clinton, too, spoke of her relationship with Kissinger during the presidential campaign. Special Prosecutor to investigate Nixon-Kissinger Vietnam Treason. The Trial of Henry Kissinger. Bring him to Justice. SPIRITUALITY SCIENCE – WHAT IS TIBET’S DESTINY?